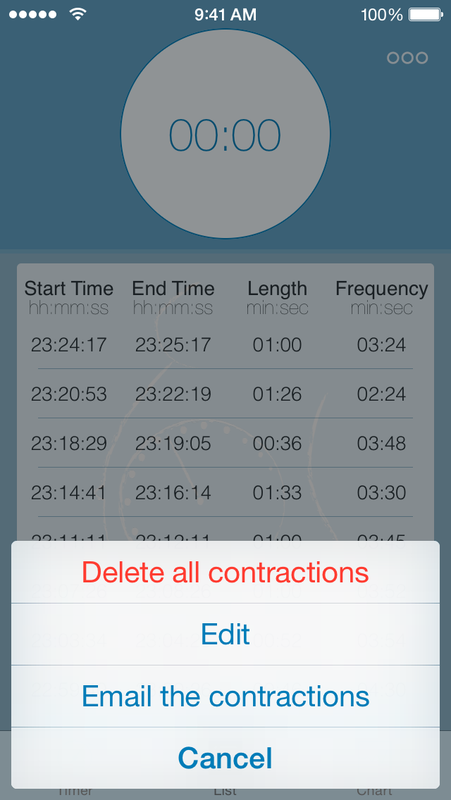 Timing the contractions is as easy as pressing a button to start and stop the timer. Labor Contraction Timer is a handy tool and pregnant mothers and their partners will easily and accurately keep track of the labor contractions. It is easy, there is no need for pen and paper to work out your contraction times. 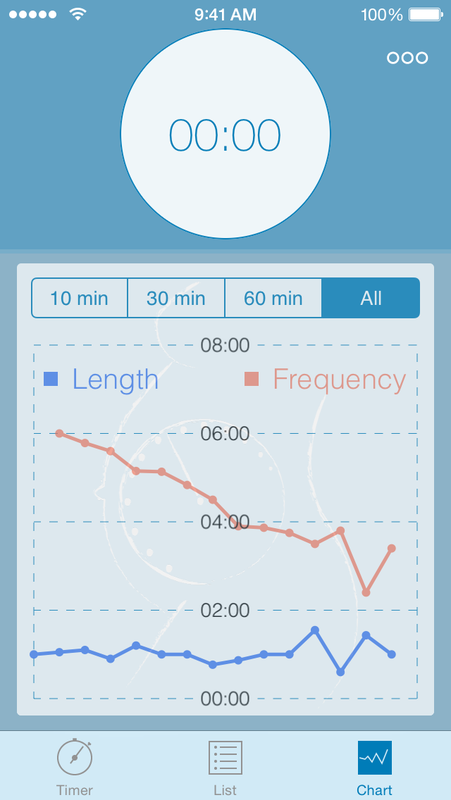 The main screen gives you the latest contraction and the average values. 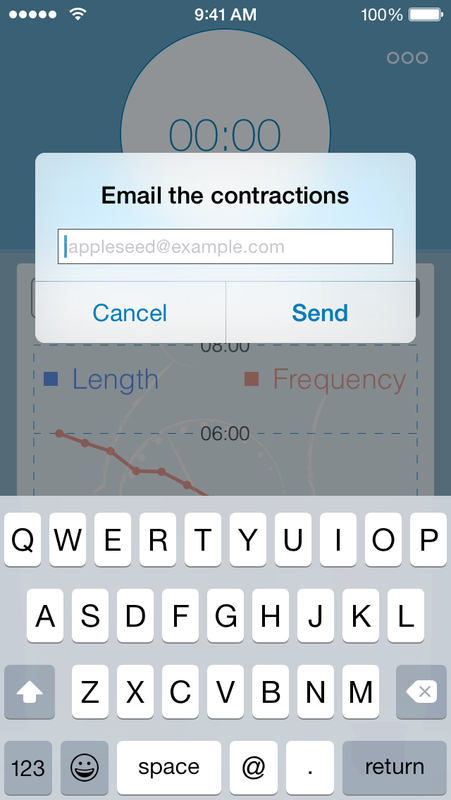 Remove contractions easily, one by one or all at once. In edit mode, tap a minus sign to delete. In normal mode, swipe finger gesture, on the table row you want to delete. An excel file with the contractions is sent to the email address. We do not store any information used in the app. Please, contact laborcontractiontimer@svenskkodindustri.se for questions. 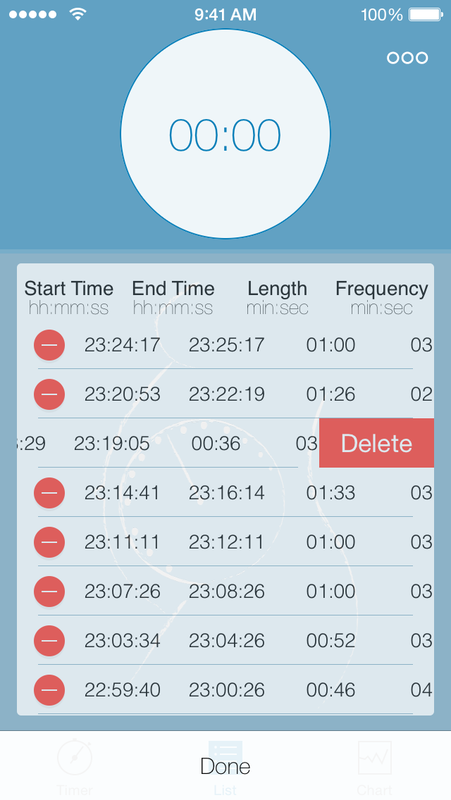 We hope you will enjoy Labor Contraction Timer and find it useful.